East Vail is a fabulous alpinous environment with towering evergreen trees and 14,000 foot mountains seemingly rising out of the valley corridor. Many like the area because a majestic trout stream named Gore Creek meanders through the East Vail neighborhood on its way through the Vail Golf Course and Vail Village. In addition to Gore Creek, East Vail also is know for its sheer rock cliff faces and beautiful spring waterfalls flowing off Vail Mountain and the Gore Range. Extreme and not so extreme skiers delight in the fabled chutes of East Vail and ice climbers come from miles around to challenge the ice falls in the winter. Big Horn Park with its large playground, athletic fields and Beaver Ponds is an added bonus when considering purchasing a home in East Vail. Residents gather their dogs and children at the park to talk over a cup of coffee or play frisbee with the neighbors is a common occurrence, even through out the winter. And, the free Town of Vail bus service runs on a year round basis takes you to Vail Village and all the way to West Vail if you desire. 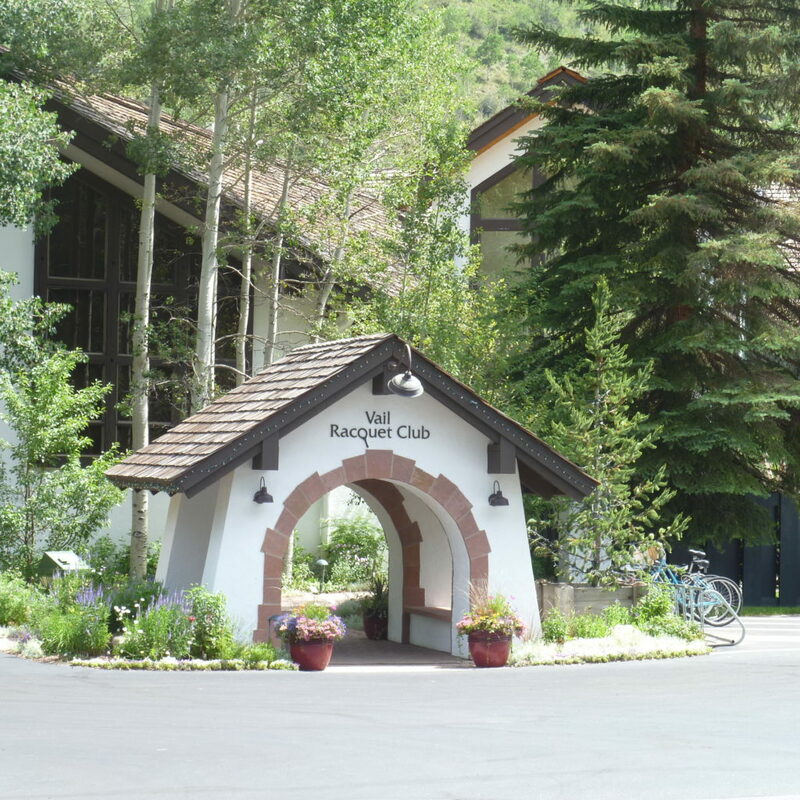 The world renown Blu’s restaurant is located in the Vail Racquet Club. The 25 year old restaurant is a Vail tradition and is a sweet addition to the neighborhood and a great gathering place for all and the restaurant and bar space a mountain ambiance seldom matched. If you need to stock up on groceries or wine, their is also the East Vail Market that has a large variety of everything including fresh meats, cheeses, produce and packaged liquor. East Vail is a great place for family to gather and the homes are built for entertaining friends and acquaintances. 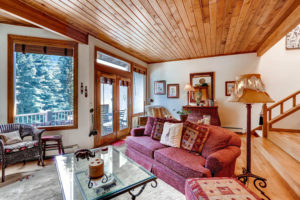 Check out all the properties currently available in East Vail. Vail Valley Real Estate Incorporated is shaking things up and leading a shift in the way real estate transactions are handled in the Vail Valley. The new brokerage is leveraging today’s Internet and telecommunications technology to bring local market knowledge and on demand real estate services to prospects and clients where they are… on the World Wide Web. With over 70 years of collective experience helping buyers and sellers of property in Vail, Beaver Creek and surrounding mountain communities, long-time locals, John Helmering, Rick Beveridge (formerly of Beveridge Real Estate) and David Nudell (formerly of Berkshire Hathaway) have teamed up to form this new concept brokerage. 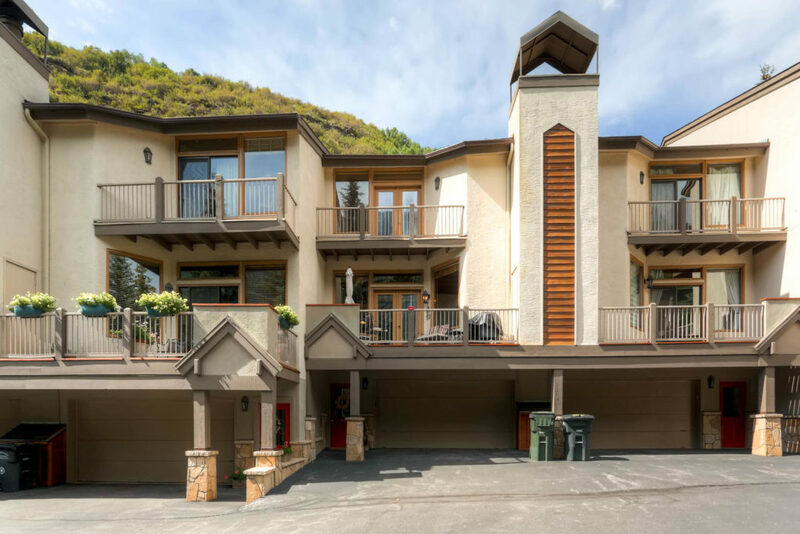 Vail Valley Real Estate Incorporated will provide the best of all worlds, by combining environmentally friendly, web-based technology with unmatched industry market expertise and traditional brokerage services. The social nature, greater user interactivity, and mobile computing capabilities of Web 2.0 brought about tremendous changes across all enterprises including the real estate industry. From the MLS to personal networks, the real estate industry thrives on the timely dissemination of information. Before Web 2.0, real estate professionals were the only ones with access to that information, and prospective buyers and sellers had to seek them out to see the home choices in their area. But now, the challenge for real estate professionals is lead generation and optimizing new listings so they are found and seen by prospective buyers searching for property from their desktops or mobile devices. “The way people search for, find, and sell their homes has changed, and so have we,” says partner David Nudell. “… and the next generation of homebuyers has grown up searching for, buying, selling everything on demand. So we are finding those buyers where they shop and search for property, on their terms and timeframe, via their computer or phone”. Vail Valley Real Estate, Inc. generates leads for sellers and their listings with a strong Internet presence. 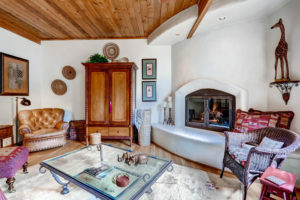 They have harnessed the power of several digital, web-based platforms including their heavily trafficked websites and urls www.vailrealestatesearch.com and www.vailvalleyproperty.com, enhanced social media, virtual tours, professional HD photography, email newsletter and property alerts and drone videos. Vail Valley Real Estate Incorporated is currently working with several developers and representing many new construction projects in the Eagle River Valley. They work with local sellers and first time homebuyers, as well as second home resort Buyers and Sellers. In addition, VVRE has a well-developed commercial and property management affiliation that is actively consulting with property owners throughout the Valley. 1948 Eagle Ranch Road – Elegant Mountain Living! 1948 Eagle Ranch Road was designed and constructed by award winning architect Scott Turnipseed. He combined the characteristics of a fine Craftsman-style home with a farmhouse twist to complete this work of art as a functional dwelling. The exterior components include multiple intersecting roof gables, with triangular knee braces, wide eaves with exposed rafter tails along with hefty wood piers sitting atop indigenous river rock walls that support the deep wrap-around covered porch. Visual design elements include a charming cupola and flying pig weathervane designed for good luck, and a “Hexafoo” design in the front gable (an old farmhouse superstition to ward off evil spirits). The open floor plan has few hallways to increase functionality with rooms flowing one into another. The interior’s handcrafted design features include; a two-story river rock fireplace, vaulted ceilings with beautiful wood beams, a stone wrapped Island in the farmhouse inspired gourmet kitchen, integrated plaster throughout and built in book shelves and desks. Aptly named, The Eby Creek Mesa subdivision sits on a mesa north of the Town of Eagle, overlooking the Town and enjoying stunning views to the Sawatch Range and Red Canyon. More rural feeling in character than many other Eagle neighborhoods, this 220 lot neighborhood is characterized by larger lots, no sidewalks, and direct access to BLM hiking and bicycle trails. Colorado mountain wildlife abounds; deer, elk, bears, turkeys, foxes, hawks and mountain lions are regular visitors here. Despite its rural and private feel, it is only 2 minutes to I-70. Eby Creek Mesa has a large and beautiful private community park, situated on a parcel that affords it the most spectacular views in the subdivision. The park has a soccer/baseball field, volleyball net, tot lot, events pavilion, and a paved bike path. This Rocky Mountain neighborhood is almost completely built out, with less than 10 lots remaining undeveloped as of the date of this writing. Even though it is physically located in Eagle, not more than a mile from the Town center as the crow flies, this subdivision has not been annexed by the Town of Eagle, and is therefore considered a part of unincorporated Eagle County. This results in lower taxes, but a somewhat higher cost of for water and sewer. Homes in this area in 2015 have sold for between $449k and $950k. For those looking for a rural feel, with privacy, views, yet close to town, Eby Creek Mesa is an ideal choice. 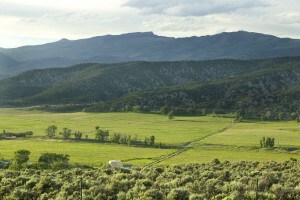 Vail Valley, CO – Eagle Ranch is a neighborhood located in the Community of Eagle, Colorado. 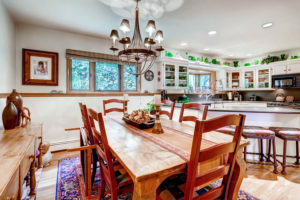 With many modern amenities and an abundance of outdoor activities to fill your free time, this Rocky Mountain neighborhood is part of one of the largest local and second home areas in the Vail Valley. Located in a true Mountain Town, Eagle Ranch is located next to the historic Town of Eagle and the “Old Downtown” commercial district; Eagle County’s local seat – ripe with centuries of western history and legacy. Eagle Ranch also has its own pedestrian friendly retail commercial district that includes an 18 hole public championship golf course, movie theater, fitness center, several parks, a pavilion and outdoor theatre, a community garden, a neighborhood grocer/caterer, and several restaurants and pubs and a grocery store that will be built this summer, 2016. In addition, the Town of Eagle boasts of an indoor ice rink, bowling alley, swimming pool, BMX track, tennis courts, baseball and soccer fields, hiking and biking trails, rodeo and equestrian fair grounds, and a myriad of other outdoor recreational activities. Eagle Ranch is located thirty minutes west of Vail and seven miles East of Eagle County Regional Airport and Jet Center. In addition, Denver, Colorado is a short two hour drive away for corporate endeavors and other business pursuits. The Town of Eagle’s lower elevation, milder weather and millions of acres of public lands allow for an active outdoor lifestyle. Also, Eagle offers a more diverse selection of real estate offerings than anywhere in the Vail Valley with options that include contracting to build your personal custom home. If you have been considering building your dream home in the Rocky Mountains, Eagle Ranch is now offering some of the final single family lots in the Eagle Ranch subdivision. The Highlands at Eagle Ranch perched high above the rest of Eagle Ranch, these homesites offer some of the finest and longest views in the Vail Valley. With the Sawatch Range and New York Mountain to the south, Castle Peak to your north and the brilliant big ski Colorado views to the western sunset; this area is simply a slice of heaven. Highlands at Eagle Ranch’s finest neighborhood include several pocket parks and a paved trail system for hiking and biking to and from the towns many attractions. Take advantage of nearly half off original sales prices and plummeting property taxes to secure your dream home location and homesite. November 19, 2015 Vail, CO – Early season ski conditions are looking really strong with two plus feet of snow having blanketed Vail and Beaver Creek Ski Mountains and another storm on the way tomorrow. There are also some new attractions in Vail Village and Beaver Creek so we thought this would be a great time to let you know that there are plenty of other things to do in the mountains of the Vail Valley this winter than just ski. 1. Shopping – In Vail Village and Beaver Creek you will find some of the coolest boutique stores and local shopping venues. The streets of both Vail and Beaver Creek Village are exploding with merchandise that will attract your attention and make you smile. No where will you find a more diverse offering of regional Rocky Mountain wears and unique gifts from Bavarian Europe and beyond. Even if your not a shopper, the ambiance and people watching alone is worth getting out there on the plazas. 3. Take an “Alpen Glo” ride in the new Vail Gondola or the Lionshead Gondola. Whichever Gondola in Vail you decide, you will find warm and cozy mountain top restaurants complete with greeters that have information on the daily events and on-mountain happenings. 4. Take a tour of Vail Village. The Colorado Ski Museum hosts walking tours of Vail Village on Tuesdays and Fridays. You will learn about the fifty year history of the ski area, the more famous developments and the pioneers that created this world class Rocky Mountain destination. 6. Take a Horse Drawn Sleigh Ride – Reencounter the Rocky Mountain past with a horse drawn sleigh ride at Bearcat Stables. 8. Hot Air Balloons – If your sense of adventure is flying high over the ski areas and mountain tops, winter Ballooning is for you. Merlin from Camelot Balloons has been around for many years and they are the local experts at mountain ballooning. 9. Take a Spa Day. The Vail Valley features some of the most awesome spas and exotic treatments in the country – Vail Valley Spas. If you are looking for natural hot springs, there are a variety of venues that can satisfy your natural outdoor cravings although you will have to travel a bit out the Valley to get to most of these Colorado Hot Springs. 10. Ice Skating, Bowling or a Movie. 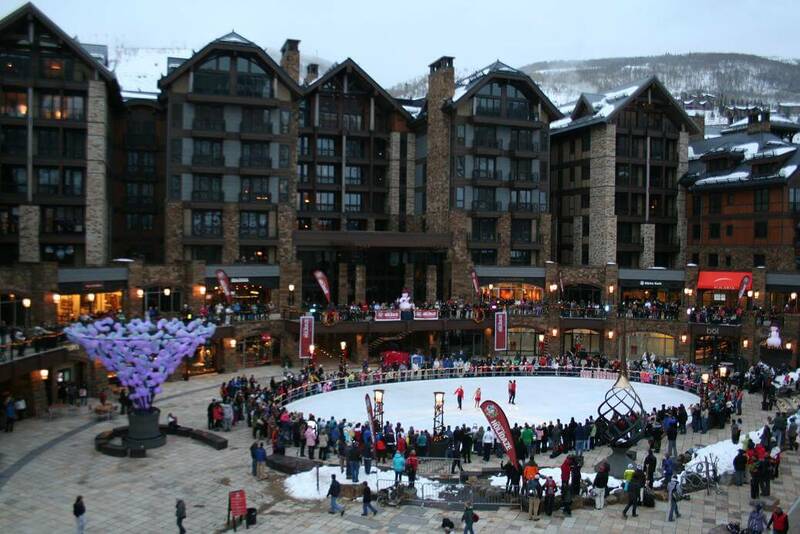 There are several outdoor ice skating rinks located in the Villages and plaza areas of the Vail Valley that are open to the public. In addition, the Vail Valley offers two bowling alleys and three different movie theaters including a dine in movie house called CineBistro. Vail, CO. – Vail Real Estate in Eagle County is selling at a brisk pace this year and it looks like we will finish 2015 with record setting sales for the first time since the pre-recession days of 2007. In addition, larger inventories of quality properties have been listed most recently for sale and for the first since 2008 newly built condominiums, town homes and duplex projects are again being developed and released for sale. Here are the Eagle County sales statistics through September 2015 assembled by our local title insurance company, Land Title Guarantee Company of Vail. Land Title has been serving clients and customers in the Vail Valley and is the most active title insurance company in Eagle County and surrounding Rocky Mountain region. “The 3rd quarter ended with the best month of the year in both total dollar volume and the number of transactions. Both of these year-to-date numbers are 30% higher in 2015 than 2014: sales volume of $229,528,778 vs $148,315,026; and transaction numbers of 236 vs 188. The areas with the most transactions for September were in the down-valley market: Eagle with 30, and Gypsum with 25. Eagle and Gypsum transaction numbers were followed by Avon with 16 sales; and Arrowhead, East Vail and Edwards, each with 14 sales. Arrowhead’s 14 sales produced the greatest sales volume in the county with $36.6M, and bringing the average transaction price to over $2.5M. Arrowhead had 15.52% of the total sales volume for Eagle County in September. The commercial sector has also been increasing in activity with 111 sales through September, 2015. The last time Eagle County had more than 111 commercial sales in an entire year was 2009 when there was 116 commercial sales. 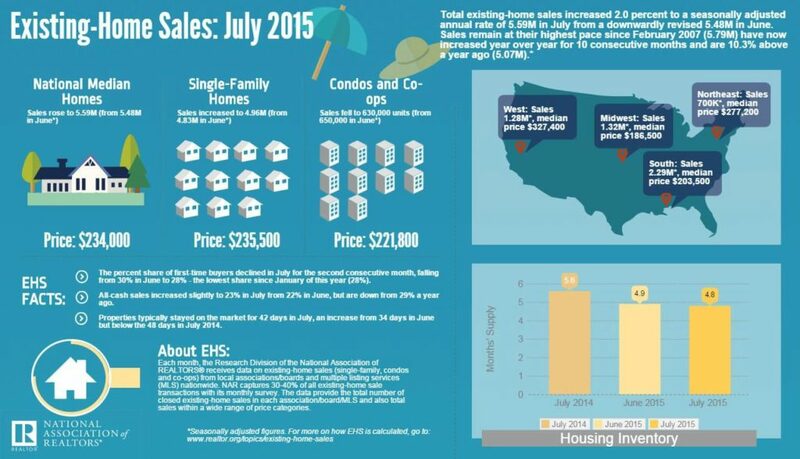 Nationally, sales of existing homes through the first seven months of 2015 increased over 2 percent and are on course for record sales and home value increase in 2015. Sales still remain at the highest pace since 2007, however since August, we have seen a drop off in activity and increased values. This may just be a lull and given good weather in November and December, we should see 2015 finish out strong. 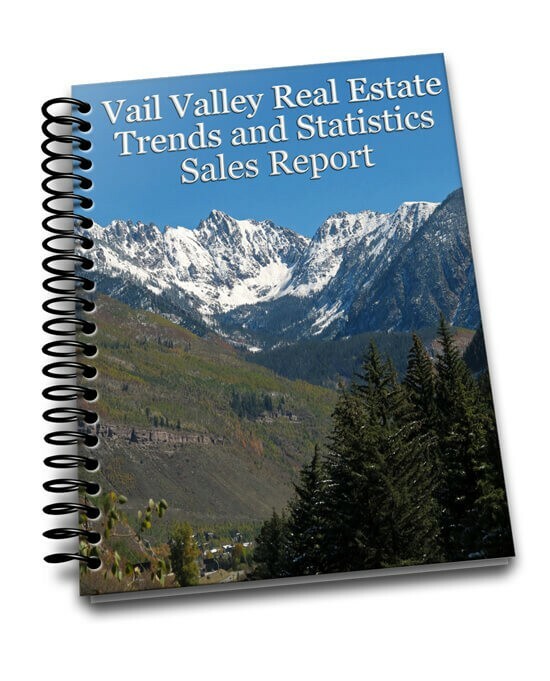 Vail Valley Real Estate, Inc. assists buyers and sellers with their real estate needs throughout Eagle County. With over 50 years of collective real estate experience and 25 years of living and working in the Vail Valley, our agents and brokers are here to assist you with all of your high country real estate needs. Please feel free to contact us with any questions or to request additional information in the form below; or to receive quarterly sales reports from the Vail Valley. 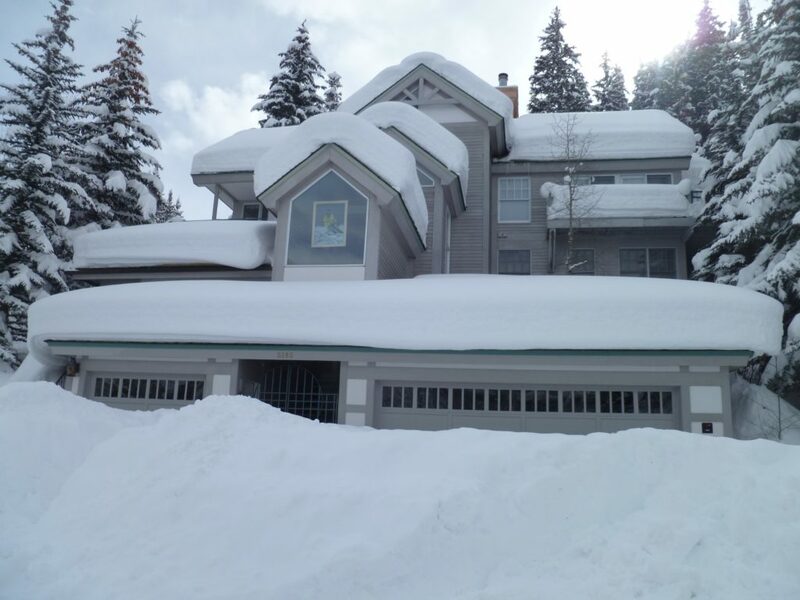 Wondering How Much Your Ski Mountain Home Could Be Worth? Here’s 10 Ways to Maximize the Value of Your Property. If you are considering selling your mountain home, here are some great strategies for making more when it sells. Here are 10 great ways to put more money in your pocket before you list, during the negotiations and at the closing table. 1. Create spring, summer and winter curb appeal. One good snowstorm after the Town’s snowplows come through can greatly decrease the buyer’s desire to view a home even if its the nicest property on the block. Keep the driveway plowed and pathways to the house shoveled in the winter. Lined paths and drives with flowers and plantings makes all the difference in the summer. Make sure your Realtor is checking on the home before showings. 2. Offer off street parking for buyers looking at the home. If you are selling a ski condominium, make sure your guests have access to private underground parking vs. the public lobby; as well as, any other exclusive owner amenities like exercise rooms, pools and hot tubs. 3. Create an inviting and open sense of entry where guests will enter your home. De-clutter the front entry and create an inviting feel for prospective purchasers who will be touring your property. Neutralize odors, enhance pleasing scents make seeing the home an painless process for buyers. 4. Remove clutter in corners and closets and limit the number of personal items and pictures on display throughout your home. This gives buyers the ability to envision their own family using your property and creates ownership interest. Clean the refrigerator, stove, and other major appliances; don’t forget to circulate the ice. Touch up, paint and update when necessary before listing the property. 5. List your home when property inventory is low and prices are appreciating. Property Inventory in the Vail Valley is currently at an all time low and we have seen rapid appreciation in most areas this year. This is a good time to consider listing your home for sale, no matter the season. 6. Negotiate your listing commission and closing costs up front and check on the different listing options available. 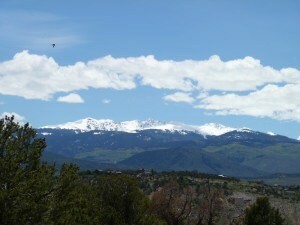 Vail Valley Real Estate, Inc. offers some of the most competitive commission rates in the Valley. But most certainly, list your property with a Realtor; statistics say they will bring 20% more than a FSBO. Don’t be mislead by sensational print advertising being a must and a reason to pay high commission rates. Most homes in the Vail Valley sell themselves with appropriate attention to detail and online marketing. 7. Offer a home warranty to your potential Buyers. This gives your buyers more confidence when making an offer and keeps them from being overly critical at inspection time. 8. Have your broker run a rental analysis to figure out the income that can be generated on a short term and long term rental basis. This is good information for buyers who are looking to offset their second homeownership costs. 9. Considering selling your property furnished or partially furnished. Buyers of second homes are more inclined to buy a home that is nicely furnished and they can use right away, especially when it during the ski season. Also, it is sometimes more costly to move a home’s contents a long distance than any remaining value of the furniture itself. 10. Have Vail Valley Real Estate, Inc. prepare a complimentary property valuation, marketing plan and ready for market criteria for your mountain home. Contact us at 970-331-1110 or request a free online home valuation here. Its “TWO EASY” steps.